Be sure to have a safe place for your baby to sleep when traveling. An adult bed, like this one, is not safe. The holidays are a busy time of year, often spent traveling away from home. For families with babies, travel can be especially hectic when trying to remember all of the necessities. One item to put at the top of your list is a safe space for baby to sleep when you’re away from home. To protect babies this holiday season, the Michigan Department of Health and Human Services (MDHHS) is reminding parents and caregivers to plan ahead and make sure there is always a safe space for baby to sleep—an approved crib, bassinet or pack and play. “It’s important that everyone caring for the baby, including grandparents, siblings, aunts and uncles, knows how to put a baby to sleep safely. If everyone knows the simple steps to safe sleep, we can all do our part in preventing an infant death,” said MDHHS Director Nick Lyon. Tragically, a baby dies nearly every other day in Michigan while sleeping in an adult bed, armchair or couch; with pillows or blankets; or with adults or other children. These deaths are 100 percent preventable with a safe sleep environment. Place your baby on their back, in a crib, bassinet or pack and play, with nothing else in their sleep environment. Plan ahead and take a portable crib with you when traveling. Use a firm mattress with a tightly fitted sheet. Keep baby’s sleep space clutter free—no pillows, blankets or toys. Avoid covering baby’s head or overheating. 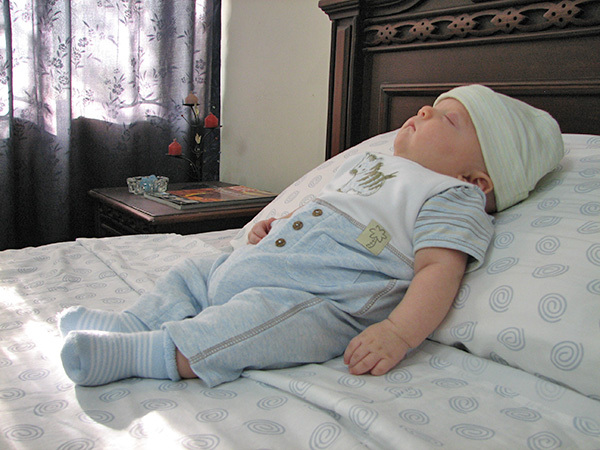 Instead of a blanket, consider using a sleepsack, wearable blanket or footed sleeper to keep baby warm. Remind everyone who cares for your baby, including babysitters and family members, how to keep baby safe while sleeping. You can make sure every baby is sleeping safe this holiday season. Learn more at www.michigan.gov/safesleep. The Howard City Police Department helped deliver a baby on December 28, at approximately 1:21 p.m.
An ambulance and rescue unit 29 of Howard City were responding to a report of a woman with back pain. Soon after the arrival of the rescue unit, a radio call asking for additional assistance was made because the woman was actually in labor. Howard City Police and a unit from the Montcalm County Sheriffs Department arrived at the home in the 500 block of Juniper Street and assisted in the delivery a healthy baby girl to the 19-year-old mother. Both mother and baby were transported to the hospital and are doing fine. A Sparta man has been charged with first-degree child abuse of his 20-day-old son. According to Sparta Police officer David Price, the baby was taken to the hospital on June 30 for inconsolable crying. Doctors at Helen DeVos Children’s Hospital diagnosed the newborn with 19 broken bones. 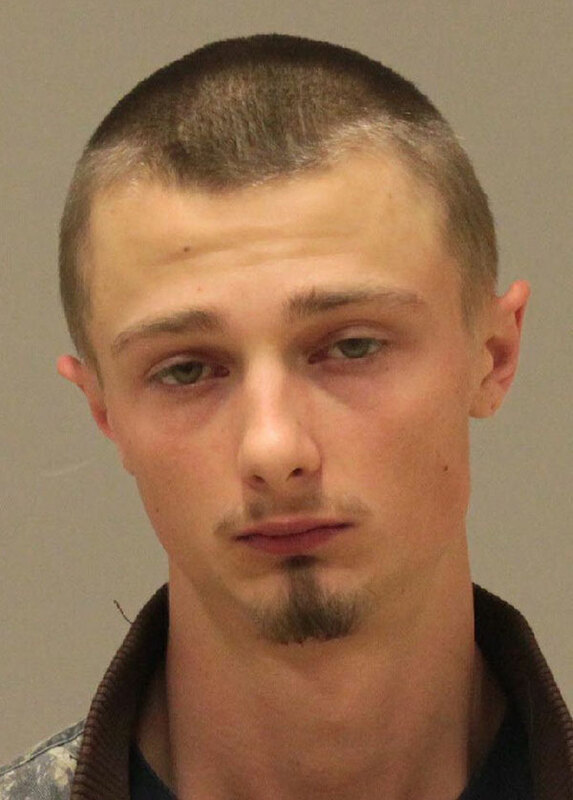 The baby’s father, David Steiger, 19, told police that he remembered pushing the baby’s legs until he heard a pop in the left leg. He was reportedly changing the baby’s diaper and said the baby seemed fine after that. He also admitted the baby fell off the couch while he was caring for him. He had no reason for the other injuries, telling authorities he might have caused them but didn’t know because he had blacked out. “We have no knowledge of what would have caused him to black out,” said Officer Price. Steiger was arrested on July 3, even before the warrant was issued. “We wanted to act quickly because we knew he had ties to Georgia and considered him a potential flight risk,” said Price. He explained Steiger has only lived in Sparta for two years. Steiger was arraigned on Friday, July 5 on one charge of first-degree child abuse, and bond was set at $100,000 cash or surety bond. He could face up to life in prison if convicted. “The penalty is just as serious as a murder charge,” noted Price. Police do not consider the baby’s mother a suspect in the case. Photo courtesy of WOODTV.com. Trevor and Danielle Lowis hold their son, Trenton. Some proud parents in our area rang in the New Year in a special way last weekend—by having a baby. Danielle and Trevor Lowis, of Sparta, welcomed the first baby in Kent County at Spectrum Health Butterworth at 12:17 a.m. January 1. Their son, Trenton Austin Lowis weighed in at seven pounds, eight ounces. Spectrum Health United Hospital in Greenville proudly announced their first newborn delivery of 2011 was born 26 hours later, on January 2. Nora Mae Johnson was born at 2:57 a.m., Sunday, January 2nd at the Spectrum Health United Hospital Obstetrics Unit. Her parents, Larissa Mae and Kevin Emil Johnson, reside in Greenville. Nora is the couple’s first child. Kevin and Larissa Johnson with their daughter, Nora Mae. Nora was 7 pounds, 9 ounces and was 20-½ inches long. She was delivered by Dr. Kelly Wiersema, MD after a short labor and delivery, totaling four hours from beginning until Nora’s arrival. The Post congratulates both the Lowis and Johnson families on their special additions!